Some of y'all have been stalking Loc Rocker but have not yet made the decision to loc your hair. And that's perfectly okay. The decision to loc should be made if and when you are ready. But if you are ready and you are in the process of seeking our a loctician, I've come up with a list of questions that I think you should print out and take with you during your initial consultations. 1. How much is this going to cost me? -This sounds like a simple question but it can make or break a lot. While loc installation may be a little pricer than regular maintenance, you may not want to shell out $50-$100 a month for maintenance. Don't be afraid to ask your loctician for prices. You will be in a happier position knowing that you don't have to sell your car just to get your hair did. Are you okay with spending X-amount of dollars on your hair each year? Yeah? Then rock on! No? Then find a more affordable loctician or prep yourself to be a DIY-er. 2. What products will you be using? -Some of y'all are product snobs. You ONLY want to use all-natural everything or all-commercial everything. And that's okay when you are doing your own hair. But if you are trusting someone else to do your locs, you may have reservations about the things they will be using. It's okay to ask to see the bottles of the products that your loctician is using. Some may have an attitude about it but they'll get over it. If you DON'T like the products that your loctician is using, kindly ask him or her if they could use something else. If they refuse to, you may want to seek out a loctician that uses products that work well with your hair-type. Or ask if you can bring in your own products. Most locticians shouldn't mind at all. 3. Will anyone else in the salon be working on my hair? -This is an important question to ask. Some of us REALLY like the person that has been doing our hair. We'd rather wait a few extra minutes for their availability than get passed along to the shampoo girl that scrubs your scalp a little TOO vigorously. Asking this question may put your loctician in a better situation to accommodate you during appointments. If you're lucky (like me), you'll go to a salon where all of the stylists are amazing. But if you know you are a Picky Patty about who handles your hair, ask this question before getting started. 4. Are you a certified colorist? 5. May I see examples of your work? 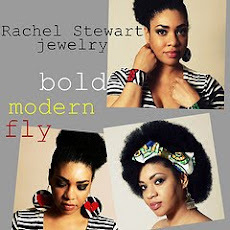 -During the consultation a good loctician will show you photo albums of their work. This not only helps you realize that you're in good hands, but it also gives you an idea of what to expect. Locticians that document the journeys of their clients are extremely knowledgeable and can answer just about any question as it relates to locs. Above all, NEVER be in the dark about what's going on with your hair. 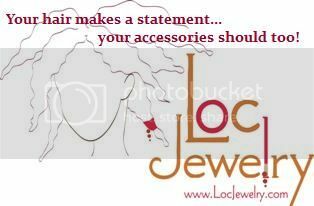 Not only are you paying for a service, but you are trusting someone with your hair. You should never leave unsatisfied or harbor a bunch of questions. And of course it helps if you know how to do your own hair. While you may enjoy the luxury of having a loctician, there may come a time when you simply can't afford (*cough that's me *cough) one. Or your loctician may be unavailable or move. You don't want to be in a position where you are so dependent on someone else doing your own hair that you freak out if they can't do it. Now go forth, my future loc'ers!! I just started my locs yesterday and have total confidence in my loctician. The maintenance is going to cost a whole lot more since I was maintaining my own hair before but once my hair is fully loced I'll learn to do it myself. It's a litle over a year now that I had my locs. I so wish I asked these questions before I sat in the chair. The only thing that I like about my loctician is the size that she started my hair with. I HATE they style she always puts my hair in. I think she has become lazy. It's the same style over and over again. The shampoo and conditioner she uses on my hair has me scratching my scalp to the "white meat". I have been taking care of my hair for the last couple of months because of these issues. There are other locticians in the salon, but so nervous about "dissin'" her and going on to someone else. Any advice on letting her know my issues without hurting her feelings? 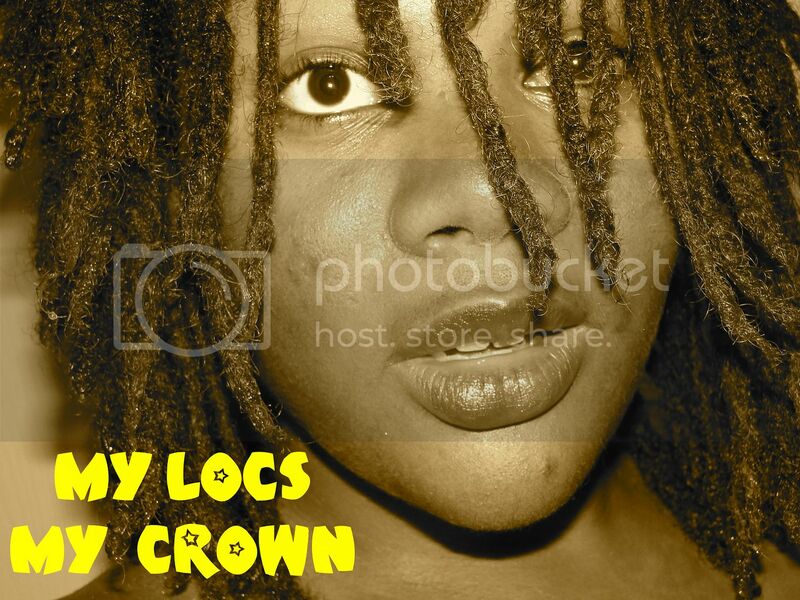 Love, love your locs! Great blog! I'm almost 6 months in. I've yet to visit a loctician so I'm always googling my questions and concerns and your blog has popped up on several occasions. You've been very helpful. If you'd feel comfortable sharing I'd love to see more pics of your locs at various stages and in between fresh twists. Perhaps it would be very reassuring. I am fuzzy as all get out right now. I know thats to be expected but WOW, this is a bit much! Again, thats for the blog. Great resource!